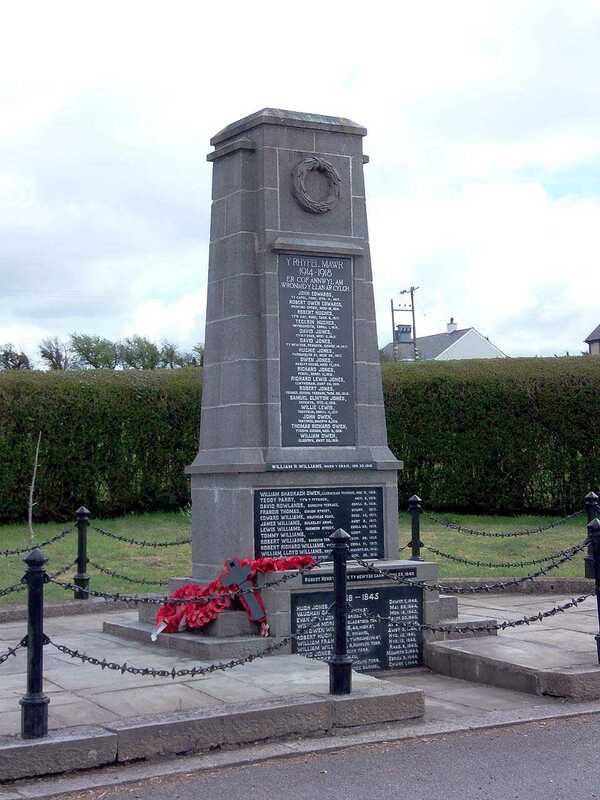 Llanerchymedd War Memorial and Surround. Llanerchymedd is on the Isle of Anglesey in North Wales. Despite being in a rural location, the town itself is and was quite populous (in Anglesey terms). 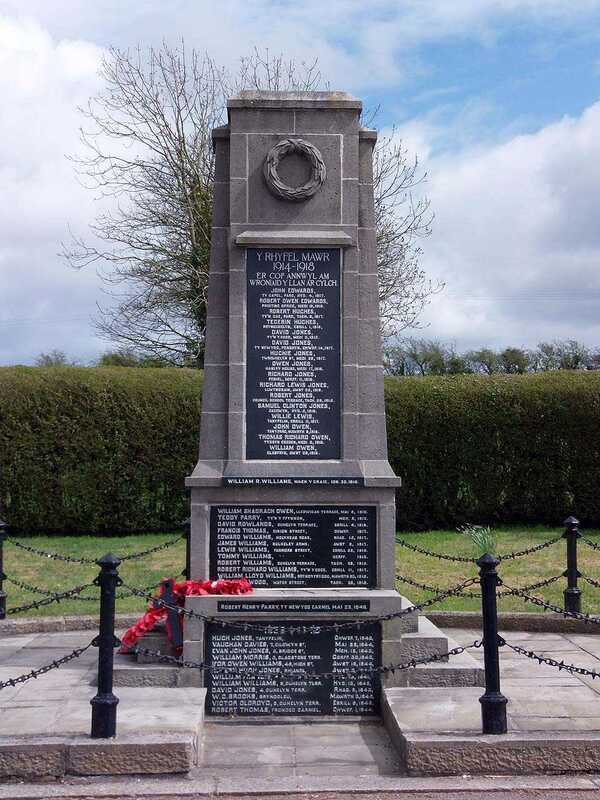 The War Memorial is located to the edge of the town. 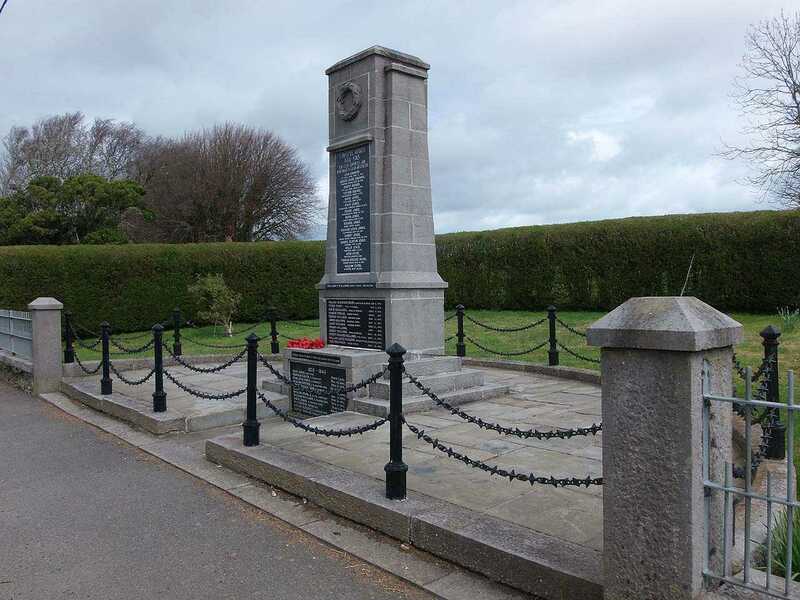 I have done my best to find out a little more information on the people on the War Memorial. 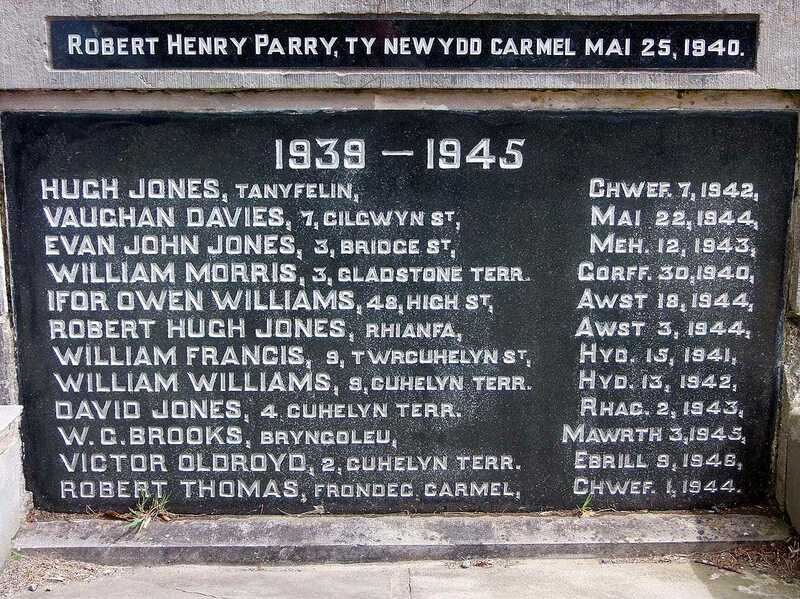 There are also some names that are not on the memorial that maybe should have been. Flying Officer. Pilot. 541 Sqdn. Royal Air Force. Son of William and Ann Brookes. Sergeant. Air Gunner. 103 Sqdn. Royal Air Force. Captain. Royal Welsh Fusiliers. Son of Margaret J. and James Edward Hughes. Sapper. 1 Para Sqdn. Royal Engineers. Son of John and Mary Hughes. Private. 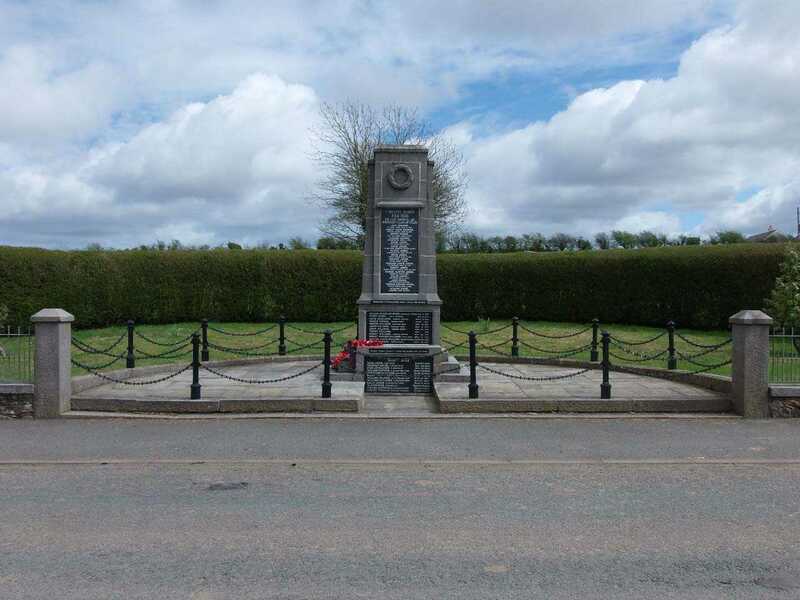 Leicestershire Regiment. 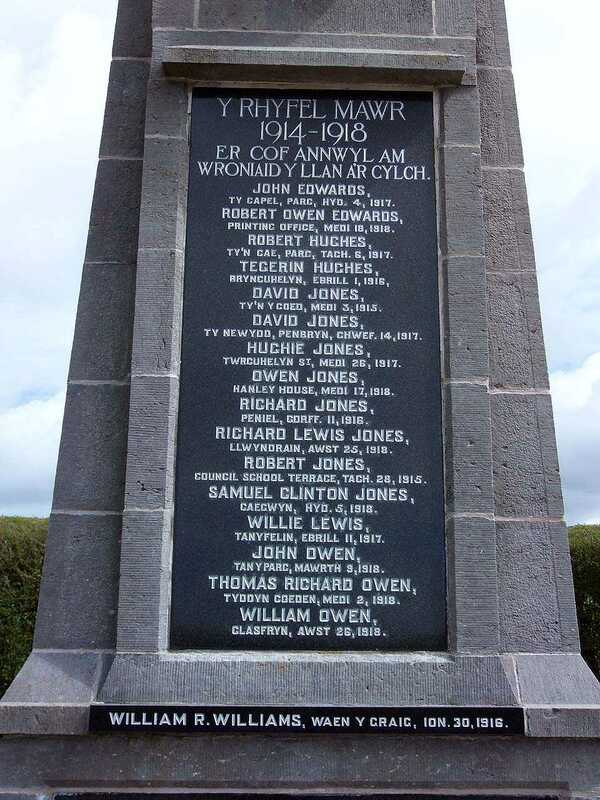 Son of Owen and Jane Jones. Driver. Royal Field Artillery. Son of William and Ellen Jones. Private. Royal Welsh Fusiliers. Son of Hugh and Mary Jones. Private. Royal Welsh Fusiliers. Son of Robert William and Sarah Jones. Private. Royal Welsh Fusiliers. Son of Thomas and Catherine Jones. Private. Royal Welsh Fusiliers. Son of Thomas and Margaret Jones. Able Seaman. H.M.S. Royal Sovereign. Son of George and Jane Jones. Sapper. Royal Engineers. Son of David and Elizabeth Jones. Private. Royal Welsh Fusiliers. Son of John and Mary Lewis. Private. South Staffordshire Regiment. Son of James and Jane Morris. Lance Corporal. Royal Army Service Corps. Private. South Wales Borderers. Husband of Hannah Owen (later Williams). 2nd Lieutenant. Royal Welsh Fusiliers. Husband of Marion Owen. Private. Royal Welsh Fusiliers. Son of John Thomas and Ann Owen. Private. Royal Welsh Fusiliers. Son of Richard Owen. Private. Royal Welsh Fusiliers. Son of Edward and Elizabeth Parry. Fusilier. Royal Welsh Fusiliers. Husband of Megan Pritchard. Private. Royal Welsh Fusiliers. Son of Charles and Ellen Williams. Leading Storeman. H.M.S.Majestic. Husband of Margaret Williams. Private. Royal Welsh Fusiliers. Son of Richard and Catherine Williams. Able Seaman. SS Southern Empress. Husband of Annie Williams. Able Seaman. Carpenter. SS Athelsultan. 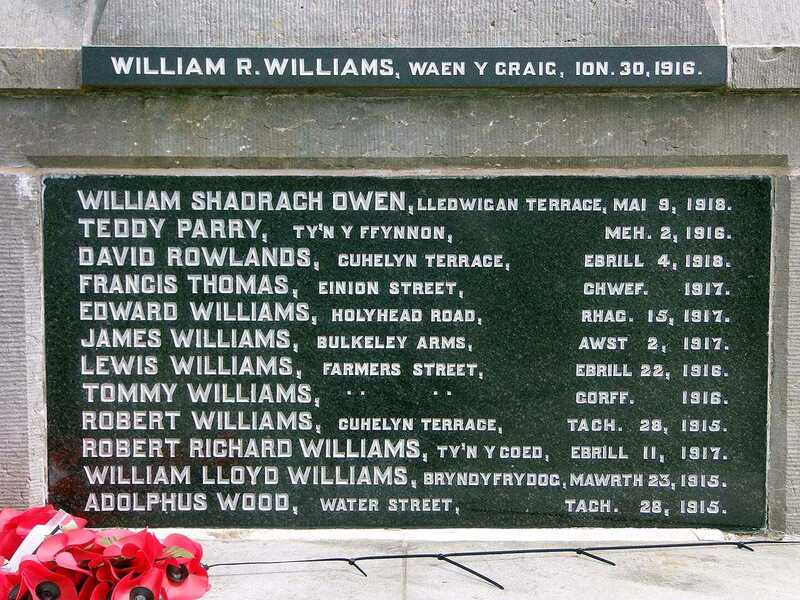 Husband of Mary Williams. Private, South Wales Borderers. Son of Evan and Eliabeth Williams.